It may be March, but Pat Sajak is playing “Secret Santa” to the Johns Hopkins Children’s Center with a donation of $20,000. For the first time in Wheel of Fortune’s 32 seasons, the popular game show produced two weeks of shows that directly benefitted one charity, Children’s Miracle Network Hospitals through its fourth annual “Secret Santa Sweepstakes.” During the 10-day sweepstakes last winter, more than 10 million viewers tuned in nightly and a total of $435,655 will be distributed among Children’s Miracle Network Hospitals across the country. Last winter from Dec. 8-19, Wheel of Fortune Wheel Watchers Club members watched to see if their Special Prize Identification Number (SPIN) ID was revealed, making them the winner of the same prizes as the show’s in-studio contestants. Whatever the home viewer won has been matched in cash and a minimum of $10,000 is being donated to a Children’s Miracle Network Hospital of that winner’s choice. Sajak presented the donation to George J. Dover, M.D., pediatrician-in-chief at the Johns Hopkins Children’s Center in Baltimore. “The funds will be used for various needs, including purchasing extra beds so parents can stay overnight with their children,” said Dover who accepted the donation. Also in attendance was Jonathan Myers, morning meteorologist for Fox 45, the station on which Wheel of Fortune airs weeknights at 7:30 p.m. Founded in 1912 as the children’s hospital of Johns Hopkins Medicine, the Johns Hopkins Children’s Center offers one of the most comprehensive pediatric medical programs in the country, with more than 92,000 patient visits and nearly 9,000 admissions each year. Johns Hopkins Children’s Center is consistently ranked among the top children’s hospitals in the nation by U.S. News & World Report. It is Maryland’s largest children’s hospital and the only state-designated Trauma Service and Burn Unit for pediatric patients. It has recognized Centers of Excellence in dozens of pediatric sub-specialties, including allergy, cardiology, cystic fibrosis, gastroenterology, nephrology, neurology, neurosurgery, oncology, pulmonary, and transplant. For more information, visit www.hopkinschildrens.org. Children’s Miracle Network Hospitals raises funds and awareness for 170-member hospitals that provide 32 million treatments each year to kids across the U.S. and Canada. Donations stay local to fund critical treatments and healthcare services, pediatric medical equipment and charitable care. Since 1983, Children’s Miracle Network Hospitals has raised more than $5 billion, most of it $1 at a time through the charity’s Miracle Balloon icon. Its various fundraising partners and programs support the nonprofit’s mission to save and improve the lives of as many children as possible. Find out why children’s hospitals need community support, identify your member hospital and learn how you can Put Your Money Where the Miracles Are, at CMNHospitals.org and facebook.com/CMNHospitals. Wheel of Fortune has been the number one syndicated game show since its inception and has earned seven Emmy Awards, including a Daytime Emmy for Outstanding Game/Audience Participation Show. With more than 26 million viewers per week, syndication’s most successful series continues to attract a larger audience than many primetime television shows. Wheel of Fortune is produced in High Definition by Sony Pictures Television, a Sony Pictures Entertainment Company. 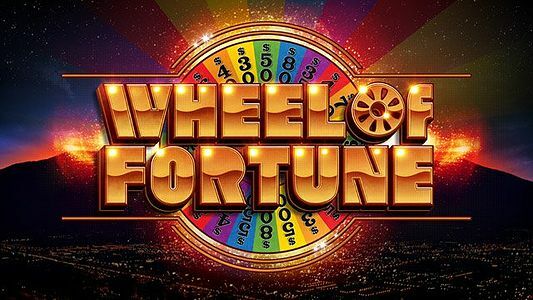 It is distributed domestically by CBS Television Distribution and internationally by CBS Studios International, both units of CBS Corp.tation on which Wheel of Fortune airs weeknights at 7:30 p.m.